Our service works on a bespoke basis dependent on the scale and requirements of your event. This is tailored for each event and can work on a hire basis, or if larger volumes of visitors are expected we can work on a concession basis, subject to prior agreement. Bring this award-winning attraction to your Event! 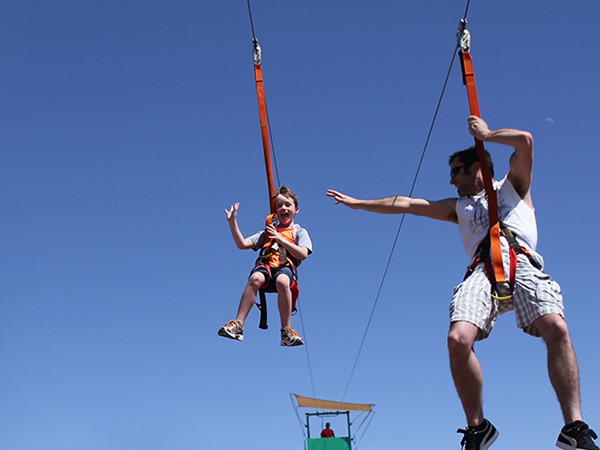 A fun and thrilling experience for adults and children alike! Tension gauges on the ride are easily visible, showing the cords are tight and during every single ride. 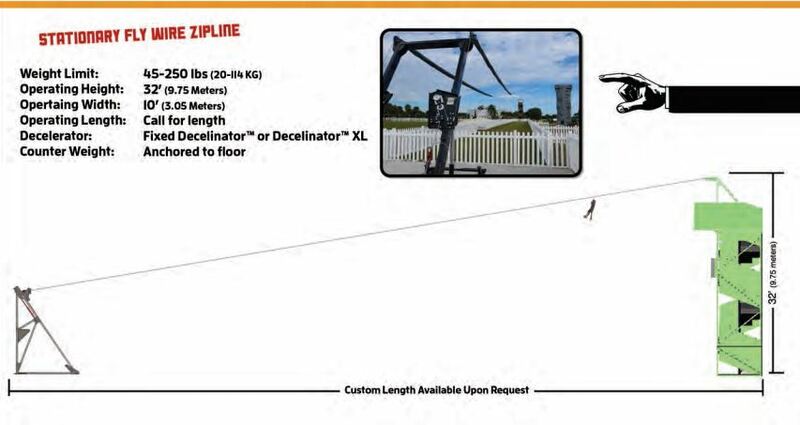 The Skyfall Zip Wire Hire uses advanced engineering technology that resolves the number one issue in ziplining, keeping riders safely off the ground at all times. This product has been designed specifically to ensure a safe landing. David White is the Managing Director of Skyfall Mobile Zipwire Hire Ltd. He is the third generation of his family in the amusement business. He started in 1974 helping his father with his amusement attractions throughout the UK, so events and shows are common ground for him. This is where he’s gained a wealth of experience in running this type of attraction. David who is always looking for the next big thing, traveled to California in the USA to meet with Extreme Engineering who has won numerous awards for this attraction. He was impressed by the thrill this created for all ages, particularly the younger riders. 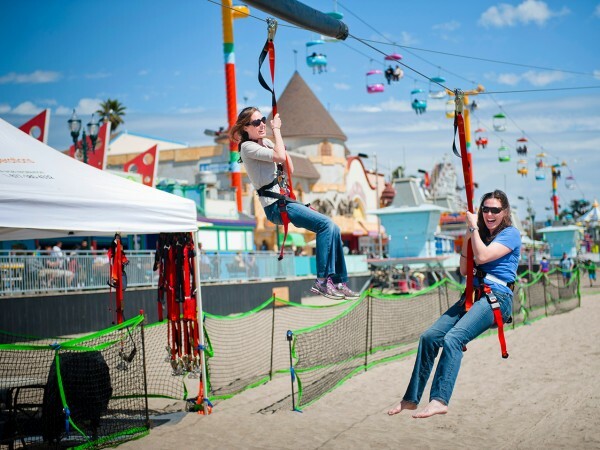 The standard of build quality gave him confidence in the rides quality of engineering and manufacture. They had also incorporated some unique safety features, which really stood out for him. So he became the first and only company to bring this to the UK. 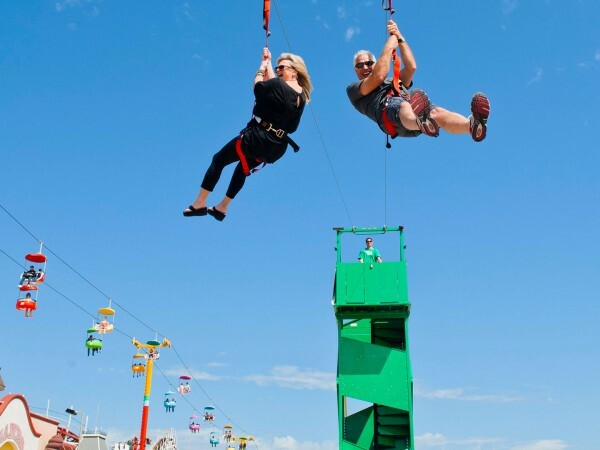 He knew this was an innovative attraction for the UK audience Branding it Skyfall, Mobile Zip Wire Hire. If you require any further information, or we can be of assistance, please call David on the mobile number above. Alternatively, you can email us at enquiries@mobilezipwirehire.co.uk or complete the form below. Find out who we have worked for.